We all understand the struggle of trying to create the perfect, dramatic cut-crease. Emphasising above and beyond the lid using concealer alone isn’t enough… the trick is to go into the depths of the crease with a small fluffy brush to gain definition by adding a dark tone into the mix. 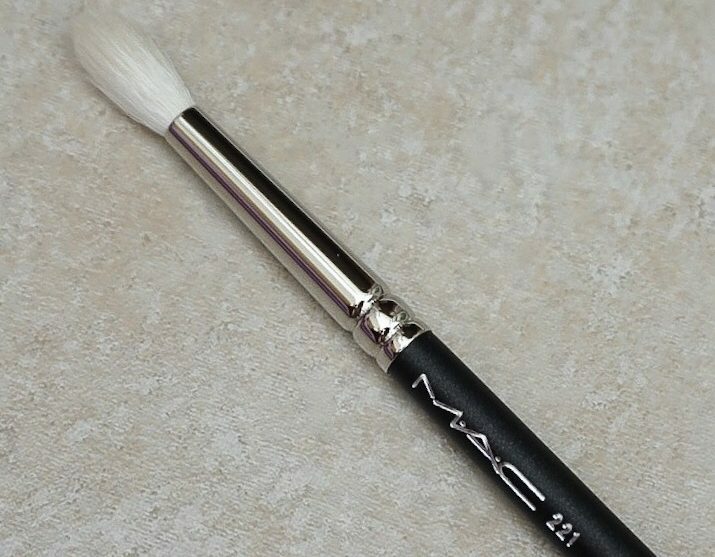 As you know, I’m already a huge fan of the Mac 217 Brush – a popular choice among the beauty blogger community – so I knew I would be equally as impressed by the 221. It’s slightly smaller than the 217 and a little fluffier, with more bristles and a slightly thinner handle. But be careful… this brush picks-up product REALLY easily, so if you’re opting for a creamier and extremely pigmented palette, e.g. Modern Renaissance by Anastasia Beverly Hills, you’re going to want to gently swirl the brush around the eyeshadow pan and tap away the access before applying to the lid… trust me, I’ve had some accidents experimenting with the 221 initially! ← Vitamin C Skincare – worth the hype?